If you have sites you have not looked at in years you might be missing out on a lot of profit. After drafting a post about things that will hurt your Google rankings I talked to my mom. Her site does not make as much as I think it should given it's age, so I looked for common SEO errors. In Google her site ranks about #70 for weight loss and #1 for weight loss blog. Those two data points tell me the site is well trusted, and their might be some old gold waiting to be leveraged. I also saw she was getting about 10% of the traffic I would have expected her to given her quantity of content, site age, and link profile. Some of her pages were stuck in the supplemental results, so I got her a few more links. Now that Google killed the supplemental results tag it is much harder to check for supplemental results, though Jim Boykin offered some free tips. Her site is aged, is fairly well trusted (based on the above rankings), and had acquired some high quality editorial links as it aged, so I didn't feel it was much a risk to go to some second tier directories to get a few more links. I also submitted her site to a couple of the better directories that I didn't submit to when I built the site a few links back in 2004. I mixed up the anchor text where I could (weightloss vs weight loss, use diet sometimes, weblog vs blog, etc). The page titles were not relevant. They all placed the site name at the start of the page title, which reduces rankings and CTR. This was a two fold fault: back in early 2004 I was less of a search marketer and I think Blogger was a weaker platform. I didn't realize one could customize the page titles in Blogger to make it modularized. Warning: when I updated my mom's Blogger Template Google messed up her AdSense code, so I had to go back in and fix that. In the past I also talked about how to hack up MovableType templates here. A good practice to ensure page titles are unique make sure to search your site and the web in general for your title before you use it. This prevents excessive duplication of topics and titles. 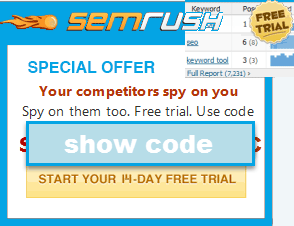 One can also look at free keyword research tools to add some of those words to the page title or post content. Some titles should be written for human response more than search engines, especially if they are emotionally charged posts. You can get a near endless dose of headline ideas, tips, and tricks at Copyblogger. Ideally I should also help my mom set up blog categories, and use those to structure the site instead of having the archives organized by date. If we had enough time to go through and categorize all the old posts, integrated those categories into our template, and saw those category pages got indexed in the major search engines, it would be best to block Googlebot from indexing the date based archives using robots.txt. If you create categories it is best not to go crazy with them. Depending on your blog size, link authority, and content breadth, anywhere from a half dozen to a few dozen main categories can be aligned with core key phrases and help structure your site. It may also make sense to highlight key categories site-wide, and promote less popular categories on fewer pages. Notice that Copyblogger link I just referenced above pointed at a category page. Category based archives are much easier to reference than date based archives. Many of my mom's posts ran all the text together in one imposing block of text. I showed her an example edited post, which spread the text out, used sub-headers and lists, and had much better readability. Blogger was already syndicating her feed as a full feed. As long as she has decent link equity that is fine. If her site was new it might make sense to use partial feeds until some link equity is built up. Originally the site's logo linked to the index.shtml version of the home page. I changed that to link to the root URL (http://www.fattyweightloss.com/). The internal linking structure all uses www in the URLs. The non www version of the site automatically redirects to the www version of the site. If it did not I would have changed the .htaccess file to 301 redirect one version to the other more popular version. People want to be inspired and to see that you are proud of your site. But after a blog is online long enough it resembles a forum, where everything is too hard to find. Who knew my mom had a good post about using a grocery cart as a work out tool? The lack of categorization is one of the big things that hurt my mom's blog, but another is that we have not yet singled out featured posts that should be promoted site-wide. Some bloggers do this manually, while others rely on plug-ins to place extra weight on popular articles. Promoting your best posts sends a disproportionate number of readers toward them, which should lead to more subscribers. It also pushes a disproportionate amount of link equity toward them, which should help them rank better. I added free weight loss calculators to her site as one type of featured content, but we should highlight some of her other featured posts. Another thing that would help make the site more search friendly would be more in content referencing of older high quality posts when they relate to newer posts, as that would help those posts get seen by more people and help search engines understand which blog posts are the most important. How can you stop this? You don't want the SEs to see this as duplicate content... then more pages go into supplemental. Have you noticed that your blog is still vulnerable to the latest Movable Type duplicate content bug...? please excuse my stupidity, but how do I implement the code change for blogger? If any of you guys don't want to mess with their Wordpress code, I have about 60 templates for Wordpress SEOed already. Also have a more complete guide on how to SEO Wordpress. I think it will help me too much with my wordpress' blog. Thanx a ton for that tip to change the title in blogger. I was looking forward to it but did not give it a shot with the blogger tags. You removed the confusion. The custom blogger title has pushed like 70% of one of my blogger sites into supplemental index. After changing it, only 10% remained there. In conclusion is a must to be done. I just wanted to point out that the code you mention for "Customizing Blogger Blog Page Titles" will only work for Classic Blogger templates. For those with the ability to install plug-ins, there are several good WordPress plug-ins that offer easy title tag insertion. You throw 4 lines of code in the CSS for the header, and then you insert a special field using the WYSIWYG post editor. You can have it be full custom, or append your blog name at the end or beginning of the tag. I went to look for your mom's robots.txt file to see what was disallowed but I didn't find one. I stated we haven't done categorization yet, but that if we did eventually we would use a robots.txt file to block the date based archives. Can I ask what you mean by this? -- "Her site is aged, is fairly well trusted (based on the above rankings), and had acquired some high quality editorial links as it aged, so I didn't feel it was much a risk to go to some second tier directories to get a few more links." You mean if it had been a new site, directories would hurt rather than help? If her site was new and had fewer inbound link I would have only been willing to register it with about a half dozen or so directories...the cleanest of the clean in that sector of the web. As a site ages and gets trusted editorial links you can get a bit dirtier. Otherwise, you'll end up blocking all your posts. Instead, you can use something like; "/%category%/%postname%/"
Aaron, as always, this is very useful. I am wondering whether it is possible to automatically generate Blogger Labels in the Title AND Labels and Item Titles in the Blogger template's meta description. I have not worked enough with blogger to be sure...this post was from changes I made about a year ago. If I want to do really advanced stuff I would just use Drupal or Wordpress. In the above video Michael Gray suggests allocating a post to only one category to prevent from being penalized for content duplication. Would it be possible to assign multiple categories as long as you don't use the /category/post-title/ permalink structure and enforce a no indexing policy for everything except the posts? I sometimes make posts fit in multiple categories. The key is not to have categories that end up being near duplicates of one another.